The new Miss Kazakhstan is 18 year old Gul'banu Azimkhanova, who competed as Miss Kyzylorda. 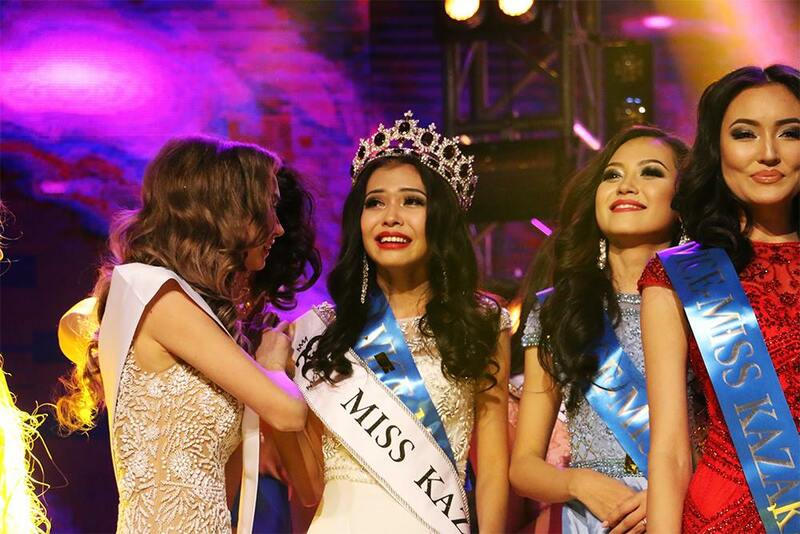 She will represent her country at the 67th Miss World Pageant next year. 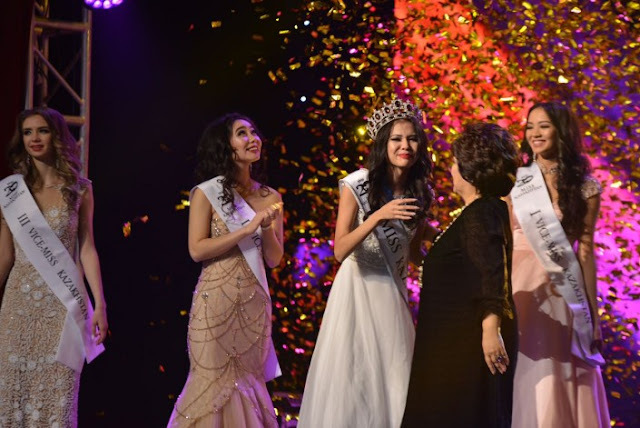 The first runner-up was Yel'Naz Nurseitova, Miss Astana, and the second runner-up was Zhanar Naymanbaeva (a contestant who replaced another at the last minute). 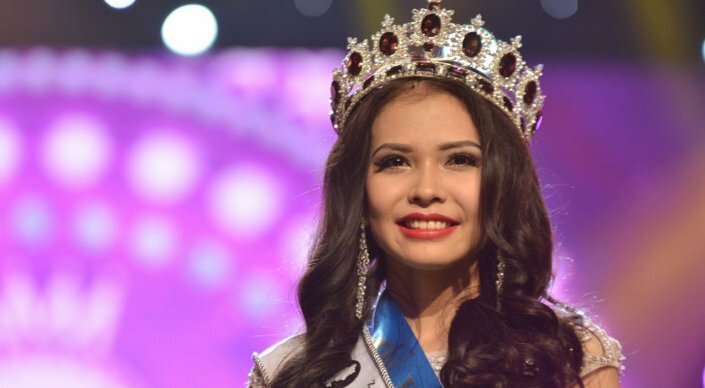 Miss Kokshetau. Anastasiya Usol'tseva, Miss Oksemen, finished in fourth place. I usually love Miss Kazakhstan winners, but not feling this one so much. 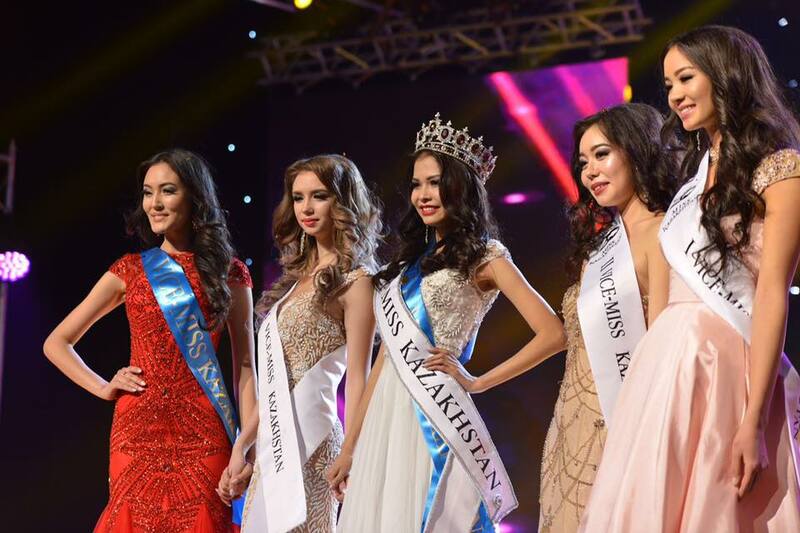 Love the first runner-up, Miss Astana, who we will see at Miss Universe, I believe!